​"memory: the origins of alien"
THE STORY - Memory was a script that Dan O’Bannon started in 1971, abruptly hitting a wall at page 29. But after the idea gestated for several years, it ultimately took the form of Ridley Scott’s masterpiece Alien. Alexandre O. Philippe’s documentaries—most recently 78/52, about Hitchcock’s Psycho shower scene—have interrogated cinema’s cultural ripples. If MEMORY—The Origins of Alien were only a comprehensive account of Alien’s origins—ancient myths, comic books, H.P. Lovecraft, sci-fi movies, and parasitic wasps—it would still be fascinating. But how did Alien lodge itself so indelibly into our cultural imagination? Philippe’s real interest lies in the deep resonance of myths and our collective unconscious. The strange symbiotic collaboration between Alien creators O’Bannon, Scott, and H.R. Giger suggests a greater synchronicity across history, art, and storytelling, a synchronicity that gives us the Furies, creatures of Renaissance painting, and even chest-bursting aliens. ​​​​For those viewers who poured obsessively over DVD bonus features every time they watched a movie, consider “Memory: The Origins of Alien” the holy grail of bonus content. The filmmaking team behind the People vs Lucas and that documentary that literally just spends 90 minutes examining the shower scene in "Psycho" takes to Ridley Scott’s classic like a conspiracy theorist to The Zapruder Film. In addition, the documentary delves deep into the film’s development and production, detailing writer Dan O’Bannon’s deliberate pilfering of other films and novels for his ideas, as well as the fears and ailments that drove his depiction of terror. (He suffered from Chrohns Disease and apparently felt as though his insides were about to rip out). 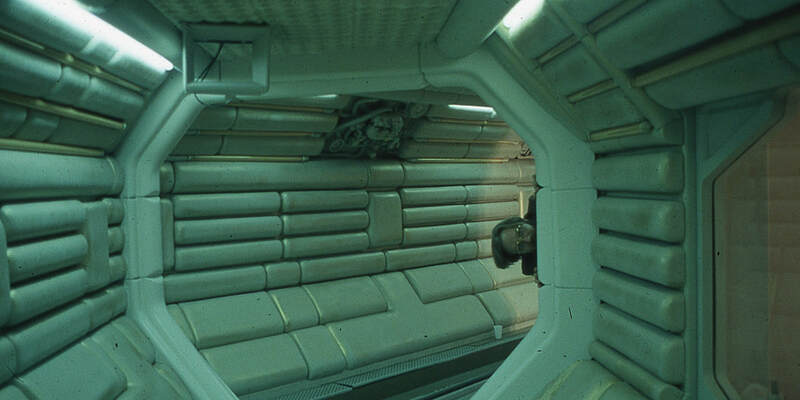 But more importantly, the film is keen to emphasize how "Alien" is not just one person’s film. It was pure Ridley Scott, Dan O’ Bannon, and HR Geiger working at the heights of their powers. We learn how close the film came to failure multiple times: Fox executives said “this man is sick! Get rid of him!” after seeing Geiger’s concept art, and we see how differently it might have turned out under original director Walter Hill. Technically “Memory: The Origins of Alien” is well crafted. The editing is crisp, the lighting is moody and evocative, and an opening sequence involving mythological furies is impressive. Ultimately, the main audience here are cinephiles. Nothing about the film reinvents the wheel, but it’s not trying to do so like the film it is based on. “Memory: The Origins of Alien” is a love letter to a masterpiece. Compared to some of the “important” documentaries screening, this one feels slight. But it’s also lots of fun. If you’re a nerd for Ridley Scott's 1979 sci-fi classic, there are far worse ways to spend 90 minutes.